Assuming you have created a dynamic web project under Eclipse, and you have tested your project, now you want to deploy the Spring project to a live server. The project runs on Tomcat and it interacts with MySQL database. How to correctly deploy your project? To deploy the project, you need to build a .war file. a .war file (Web application ARchive) is a JAR file used to distribute a collection of Java classes, XML files, libraries, static web pages and other resources that together constitute a web application. 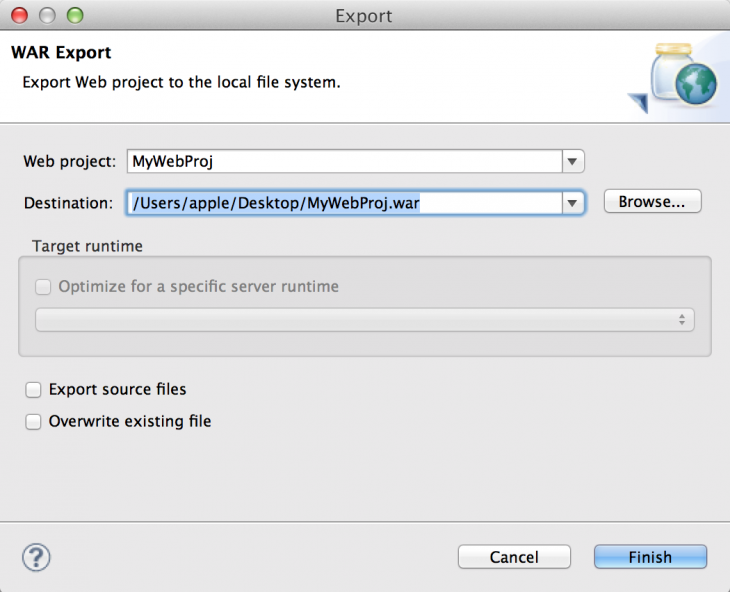 You can build a .war file in Eclipse very quickly. 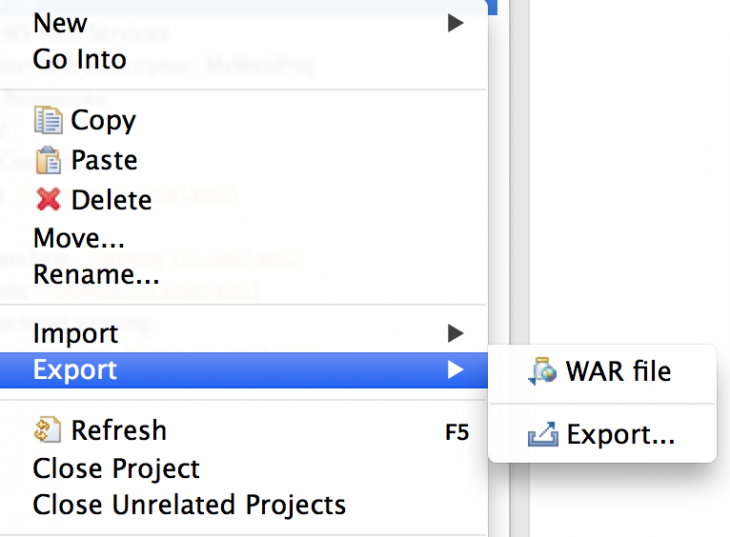 Right click on the project, Click "Export", and choose war file in the dialog. After the .war file is generated, you can manually copy the .war file to the server directory, i.e. $TOMCAT_HOME/webapps directory. You can also use Tomcat "Manager" application. If you have a dedicated server, you should also set up the server and database first.